We did it! 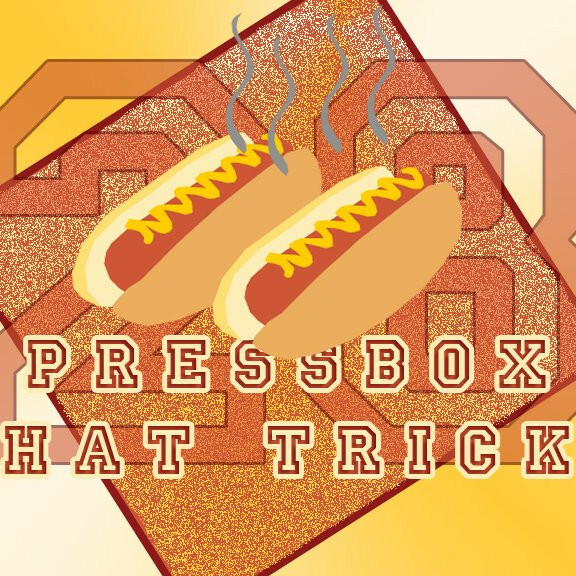 It’s the 100th episode of the Pressbox Hat Trick podcast! For the occasion we bring on every host from past and present. On the show: Tristan D’Amours, Alex Perez, Safia Ahmad, Harrison-Milo Rahajason and former hosts Julian McKenzie and Vince Morello talk about the good, bad and ugly of PBHT and they make the long-awaited guest-host power rankings for episodes 50-100. Thank you for listening, we’re pretty proud to have gotten to triple-digits! We would also like to thank every guest who sent us a message to include this week’s show. You can check out some of them in a video on The Link’s Facebook page.